Air Vice Marshal Leigh Gordon, head of the F-35 Joint Strike Fighter program for Australia’s air force, has said the country looks to field a new system designed to mitigate sovereignty challenges related to Lockheed Martin‘s autonomic logistics information system (ALIS), FlightGlobal reported Sunday. 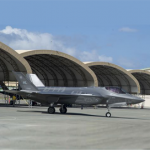 The report noted the new system will filter the F-35 and select facilities from the flow of data fed to ALIS as well as develop mission data files that can help operators meet operational sovereignty objectives. “Ultimately, there will be a standard gateway off of the program that we can all work with, but in the interim we’re thinking for each nation to bring a gateway along and have that integrated,” said Gordon. Gordon added the country plans to mature and deliver the technology in 2018 and expects initial operational capability to be achieved in 2020.